It has now been confirmed that the Google Phone has been named as “Nexus One”. It has been designed by the folks at Google, and the hardware is manufactured by HTC. Nexus One will be sold online by Google, fully unlocked so that you can use it with any carrier you like. 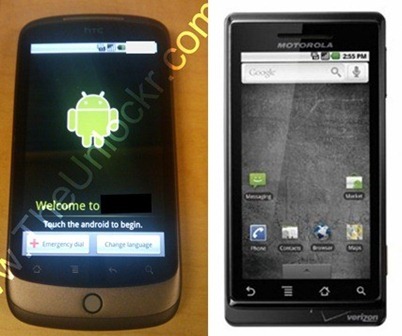 It is being reported that Nexus One will look alot like HTC Passion/Bravo which is also slated for 2010 release. Based on all the information that we have gathered about this Google phone, we have placed it against the best Android phone available in the market today. 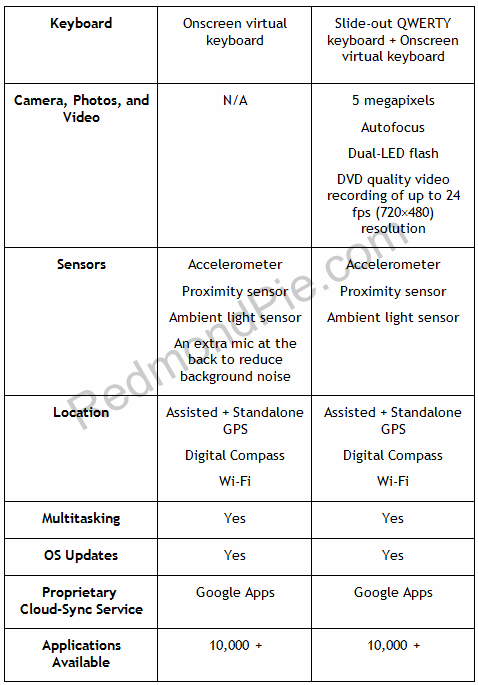 Here is how Nexus One stands against Motorola Droid. 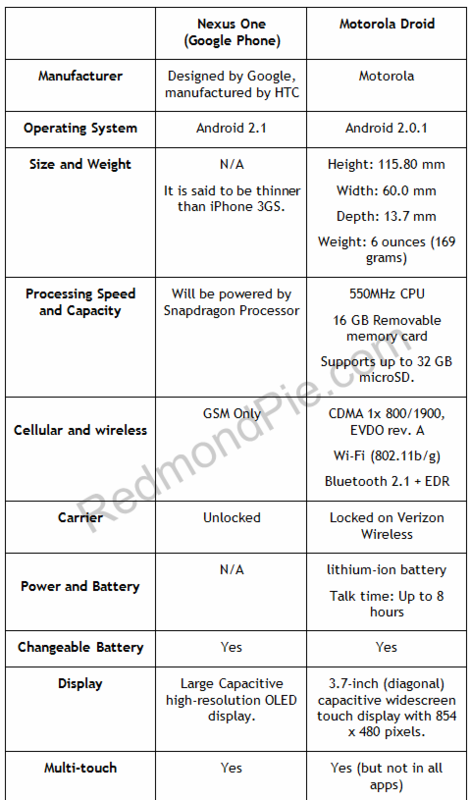 The Google Nexus One specs listed above may not match the actual product which is scheduled to launch early next year. But it will be around those lines from all the info that we have gathered from the test devices which Google has handed over to its employees. I heard no multi touch for either. Oh well better for us. The Droid has multitouch. Please read everything first. Pinch zoom is included in the Dolphin Broswer. Dolphin is a third party browser. Not the stock browser which ships with Droid. From the specs above, the Nexus doesn't stack up, with the exception that it's running 2.1. Not stated is the fact that Google is shipping the Nexus with a pre-installed 4GB SD card(Droid comes with a 16GB). One thing to mention though, if you have a file manager, you can find the multi-touch permission native to the Droid, I just haven't figured out how to enable it yet.. rooting should do the trick.